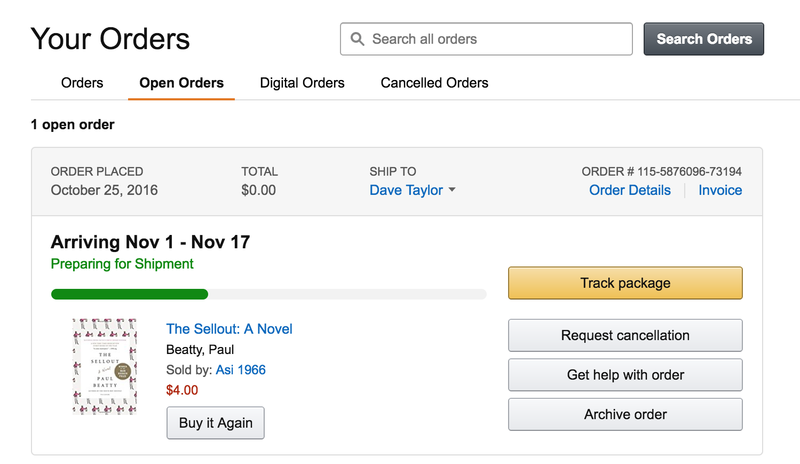 Can I cancel an Amazon.com order? I ordered a DVD a few days ago on Amazon.com and now I want to cancel it before it ships. Is that possible? It’s through a third party, if that makes a difference. The short answer is “maybe”. 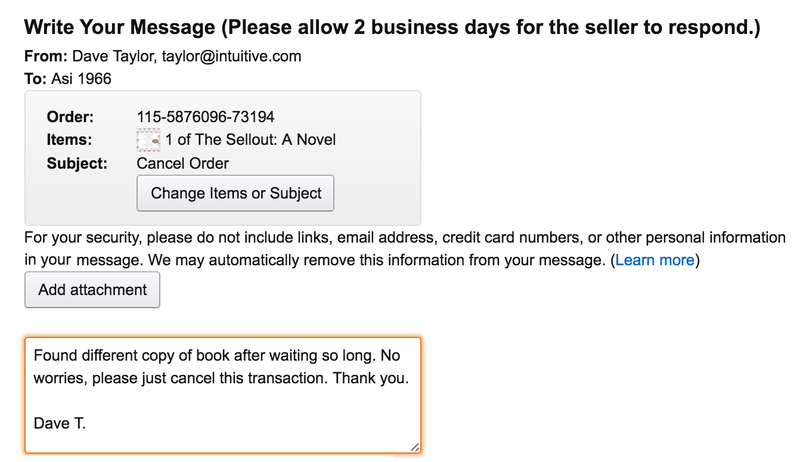 Maybe you can cancel your Amazon Marketplace order with the seller, but that depends on whether they’ve shipped it already and whether they’re nice or not. While most sellers tend to have a very small number of items available at any given time there are also some that have dozens, hundreds or even more products available through Amazon at any given time. The more they’re dealing with, generally speaking, the less likely they are to be able to change course mid-stream. But let’s be optimistic and hope that your seller is moving slowly, isn’t shipping 300 DVDs this week, and understands how sometimes the most enthusiastic of buyer can have second thoughts and want to cancel a transaction. If it doesn’t show up, make sure you’re looking at “Open Orders”. Now at this point, you can request cancellation by, well, clicking on the button ingeniously labeled “Request cancellation“. I’m in luck because my order shows a status of “Items not yet shipped“. That makes it much more likely that the seller can cancel the transaction since it’s likely nothing has happened yet. If it’s already shipped, well, then it’s a lot harder to cancel the transaction (which isn’t to say you couldn’t potentially return the item once it arrived). As you can see, I explained “Found different copy of book after waiting so long. No worries, please just cancel this transaction. Thank you.” Seems reasonable, yes? Now to wait a few days to see what happens with the seller, but my expectation is that the transaction will be cancelled. Hopefully your transaction will be as easily cancelled too.